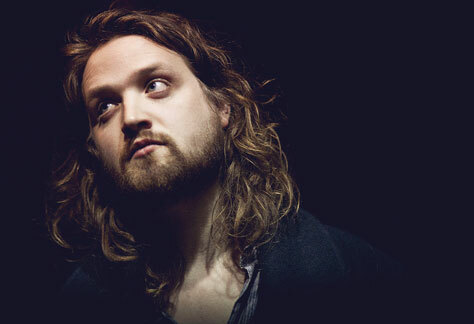 We’re delighted to be promoting Will Varley’s biggest Manchester show to date! Rambling folk singer Will Varley has travelled further than ever since a 500-mile walking tour along England’s south coast. Third album Postcards From Ursa Minor has whisked him from Kent to sold out gigs including London’s Scala and Manchester’s Night & Day Cafe, embarked him upon Flogging Molly’s infamous Salty Dogs Cruise from Miami to the Bahamas with music, friends and fans before taking him on a huge US tour with label-mates Skinny Lister and Beans on Toast. Scottish legends The Proclaimers loved him so much they invited him back for 25 dates of their summer 2016 tour, as did Bestival organisers who have booked him again for this year’s festival. Having had the year of his life he still has plenty to give though, announcing his largest venue tour to date, including his biggest Manchester show to date, at Gorilla. It’s no wonder the last year has been such a success. The stellar ambition both hinted at in tone and explicitly expressed in title of Postcards has left listeners in awe. Produced by Tristan Ivemy and mastered at Abbey Road by Frank Arkwright (Arcade Fire, Blur), it is a master-class in song-writing that pushes the boundaries of the ‘one man and a guitar’ format. It’s hard to pinpoint just where things began to get out of control for Will. A 2015 autumn tour with The Proclaimers? Supporting Frank Turner at the Royal Albert Hall in support of Teenage Cancer Trust? Being played by Radio 2, 6 Music and Radio X? Perhaps it was just the enormous impact of the album that made people realise they were dealing with an unassuming master of his craft. And with 2016 packed with live dates and festivals, his journey to the stars will continue apace. Support comes from The Lion and The Wolf. The Lion and The Wolf is the performing moniker of Thomas George. Thomas has been touring relentlessly since quitting his job in January 2014, and his addictive live set of dejected yet hopeful songs coupled with truthful and earnest vocals have seen him perform all over Europe, from the top to the bottom of the UK, not to mention UK and EU tour support for the likes of Rob Lynch, Northcote, PJ Bond, Signals Midwest and Owls By Nature as well as appearances at Slam Dunk, Hevy and Isle of Wight Festival.